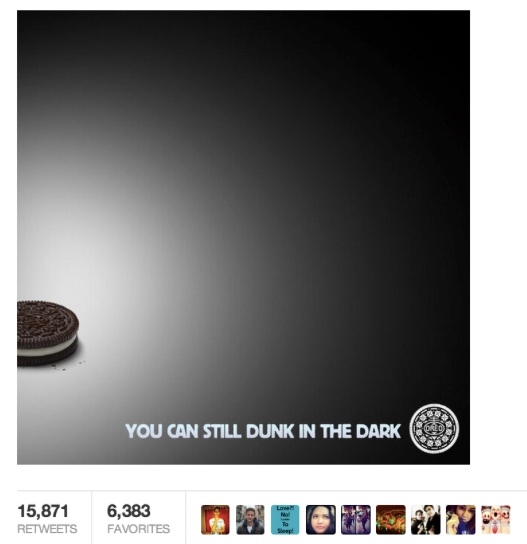 It all started years ago with this Oreo tweet during a blackout at the Super Bowl. The industry went gaga, a paradigm moment heralded by every Social Media maven in the industry and a tweet shared a million times … no actually shared 15,000 times. 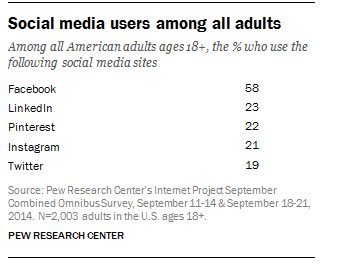 In terms of reach and frequency that’s a big zero. While certainly a clever moment in time, from a practical perspective of generating meaningful brand conversations and media impact, pretty uneventful. The only place it had impact was in the industry trade sites which termed it brilliant and every CMO went to their agencies and said give me ‘hijack marketing like Oreo”. We are truly an industry of followers grasping at the next ‘shiny thing’. Three things brands should scrub against before launching any Social effort … if any of these fail … DON’T DO IT ! It’s about creating genuine conversations with people, not advertising to them. Engage consumers in what interests them, not what you want to sell them. Yes, it must be relevant to the basic fabric of the brand’s soul. ‘We Dare You’ (http://www.wedareyoutoshare.com) is a Social Brand Experience presented by UnitedHealthcare, whose mission is to help people live healthier lives. ‘We Dare You’ (WDY) encourages people to ‘take a small step everyday’ to live healthier. The site engages consumers with content related to nutrition, stress-management, fitness and general wellness. Experiences by their very nature are participatory events where users engage in an activity that interests them. WDY presents three interactive experiences each month to gain user engagement. All activities are about helping consumers think about how they can live healthier lives. They are simple, easy-to-do, fun and interesting interactions. WDY has exceedingly high engagement and repeat usage rates, far above normative benchmarks. The only strategy that works in Social Media starts with an interesting, interactive concept that creates user-generated content for sharing. The key to WDY’s success (2014 Ad Age/Modern Healthcare Social Media Campaign of the Year) is that it interests users who care about health and wellness while encouraging viral word-of-mouth sharing on Facebook, Pinterest, Twitter, etc. We also employ the Zig Blogger Network to have relevant health and wellness bloggers encourage their readers to come and try it. The site has over a million visitors with a 20+% engagement rate, on a relatively modest budget. Stop chasing the next ‘shiny thing’ in Social Media. The road to a strategically sound Social Media practice that will produce real influence and impact on your consumers path-to-purchase is interactive engagement. Use your brand’s main benefit to develop an interactive Social Brand Experience that encourages participation and generates user-to-user conversations. Zig is a Social/Mobile/Video consultancy driving brand engagement by creating interactive user experiences. We programmatically reach in-market buyers, at the lowest cost, and move them to conversion. You can see our work by clicking on the link ⇒ http://www.zigmarketing.com. This entry was posted in Digital Marketing, Social, Social Brand Experience. Bookmark the permalink.